The basic formula tango = dance + passion is a great understatement. Rather, the world of tango is rich and complex, each tango telling its own personal story. Argentinian singer, Paula Barembuem and Colombian pianist, Pablo Rojas have responded to this with acute awareness and sensitivity. 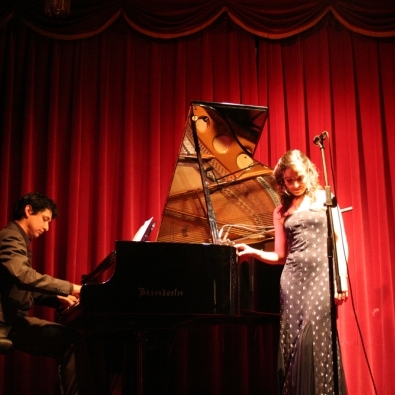 Showing great poetic insight, the duo has created tango arrangements of refinement, eloquence and diversity. These bring out a facet of the tango as yet little known in Europe in their delicacy and lightness, set against a down-to-earth melancholy. Out of the great riches of this cultural form of expression from Buenos Aires, Paula Barembuem and Pablo Rojas have realised their own vision of the tango, with its unmistakable rhythms and blend of classical and jazz styles.